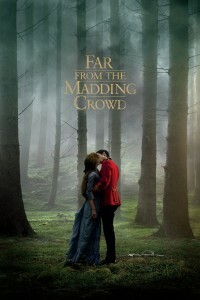 FAR FROM THE MADDING CROWD	No ratings yet. Admittedly, I have never been a particular fan of author, Thomas Hardy, having been forced to read his works when I was a college student. That having been said, I find the story Far From the Madding Crowd, set in Victorian England, to be more compelling than others by Hardy. Briefly, it is the portrait of a proud and headstrong young woman, Bathsheba Everdene (Carrie Mulligan), who finds herself, thanks to a deceased uncle, the recipient of a rather huge inheritance. Her lifestyle naturally changes, though her determination to be independent of men remains the same. Throughout the film, Bathsheba attracts three suitors: Gabriel Oak, (Mathias Shoenaerts) a steadfast sheep farmer, Frank Troy (Tom Sturridge) a reckless sergeant, and William Boldwood (Michael Sheen) a prosperous and eligible bachelor. Her attractions and her involvement with all three of these men basically comprise the core of the movie. This adaptation by director, Thomas Vinterberg, differs somewhat from the classic 1967 film which starred Julie Christie and Alan Bates. For one thing, Christie as Bathsheba had more of an ethereal presence where Everdene’s Bathsheba is decidedly more earthly. It is always difficult to try to compete with a film that many consider a classic, but I think this was a good attempt. While some have questioned the casting of Belgium actor, Shoenaerts, I found his acting to be quite effective. Regardless of one’s preference for the 1967 film or the 2015 film, Hardy’s message still comes through, that of a woman trying to balance her desire for independence with emotions over which she sometimes seems not to be in control. Still, if you’re a fan of Pride and Prejudice and Downton Abbey, then Far From the Madding Crowd might very well be your gently brewed cup of tea. Out of five bags of popcorns, I’d give it three bags. Have a great week and feel free to follow me on Twitter @VivianWrites. A beautiful young woman maintains relationships with three very different men. Heavy, dark experiences change us. They shake us to our core and cause us to re-evaluate our lives and our values. So, it is understandable that a transformation can come out of that. And sometimes it works the other way around. 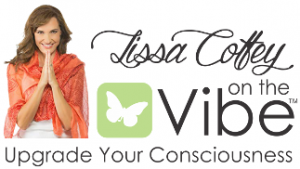 Sometimes a transformation occurs – maybe we’ve been working on it for a long time but then suddenly there’s a shift – and we need some time and space to assimilate it into our consciousness. We need to see how we can fit our new selves back into our old lives. It can feel like a dark night of the soul – but it’s only temporary. The light shines through.